Jamie Stevens already has a CV to die for, being the youngest person to ever be nominated for the title ‘British Hairdresser of the Year’ this year for a fourth time, plus owning his own salon at 18; working for Beverly C, Daniel Hersheson and Errol Douglas; shoots and cuts for the likes of Kylie, Stella McCartney, Elle Macpherson, Eva Herzigova, Myleene Klass, Emilia Fox, Little Mix, Hugh Grant, Christian Slater, and Gok Wan to name a few. 2009 saw him add the title of British Hairdressing’s Men’s Hairdresser of the Year to his accolades, and he is the hairdresser-in-residence for TV shows The X Factor, This Morning, Gok’s Fashion Fix and Channel 4’s top rating show (200 million viewers worldwide) How To Look Good Naked. He has won Men’s Hairdresser of the Year this year for the third time which places him into the British Hairdresser of the Years Hall of Fame for Men’s hairdressing , as well as being shortlisted for the highly prestigious London Hairdresser of the Year award for the third year, and Afro Hairdresser of the Year for the fourth time! His Somerset salon was also shortlisted for the Wales and South West British Hairdressing award 2011. Additionally, he was shortlisted for the AIPP Award for Best Men’s and Best Avant Garde images in 2010. Jamie is part of the exclusive Matrix haircare Global Design Team, and was named Celebrity Hairdresser of the Year at the Clothes Show Live, London in June 2010. He was named the Fellowship for British Hairdressing’s Ambassador of the Year in December 2010. Jamie will launch his first London salon in spring 2012. By the age of eight, he was already helping his Mum in the salon and playing football to a very promising standard – by the age of sixteen, he turned professional and it looked like this was the avenue he was to pursue until a bad ankle injury cut short his dream of Premiership glory. Not wanting to leave the salon in any old hands, Jamie trained his sister Tasha to be a hairdresser. So, the 22-year-old moved to London and got himself a job assisting Daniel Hersheson. After 6 months he moved as a stylist to work with Beverly Cobella (now Beverly C) where he quickly moved up through the ranks, getting the chance to travel around Europe with the two-times British Hairdresser of the Year. After two years with Beverly, Jamie moved to work for Bloww with Paul Merritt and Adee Phelan, but an offer from Errol Douglas was too tempting to turn down. Jamie worked alongside industry legend Errol for just over 7 years as Art Director at the salon. 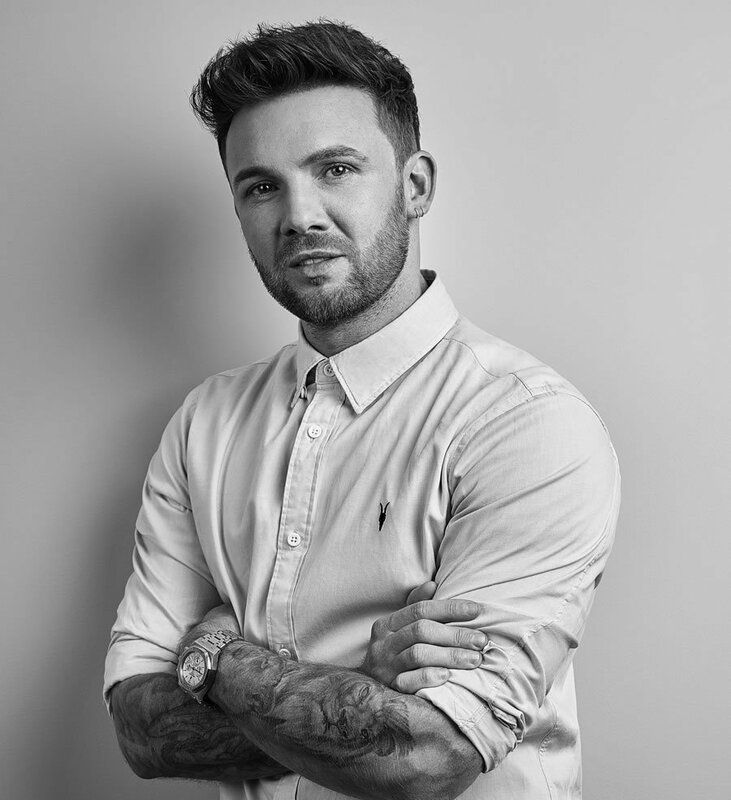 One of Jamie’s major achievements was his selection into the Fellowship of British Hairdressing’s F.A.M.E team in 2006, which has given him the biggest platform he could have asked for. What’s more, Jamie was one of the youngest people ever to be awarded a Fellow with Honours by the Fellowship. In 2007, Jamie became a member of the ghd Directive, working alongside some great hairdressers and traveling all over the world, from Milan to Melbourne, South Africa to Sydney to give shows and seminars. In 2008 he was appointed ghd’s Directive Creative Ambassador, a major achievement at the age of only 27, a role he relinquished to become an Ambassador for Matrix. Jamie’s current projects include TV work, his re-launched Somerset salon, his new London salon and work as the face of the Fellowship’s Clubstar project for young hairdressers.